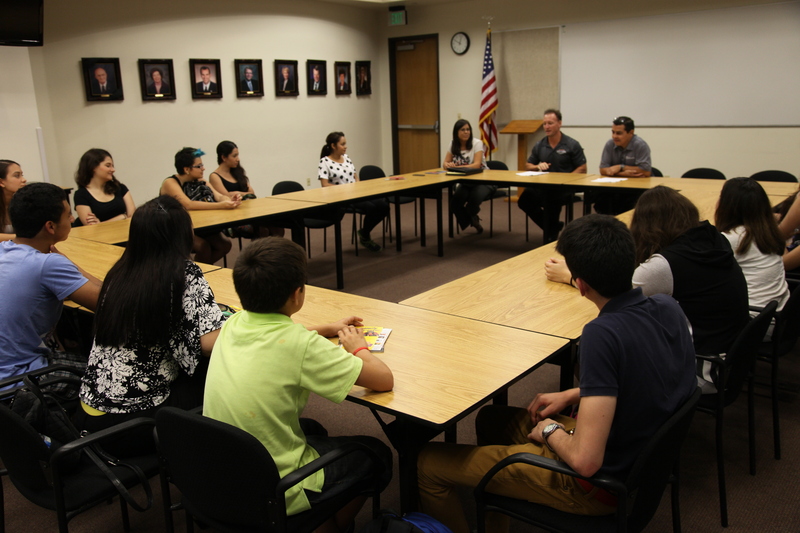 The City of Santa Clarita recently hosted two different groups of international students. Last Wednesday, Councilmember Dante Acosta gave a tour of City Hall to a group of international students, pictured above, students also were greeted by City Manager Ken Striplin and Assistant City Manager Frank Oviedo. 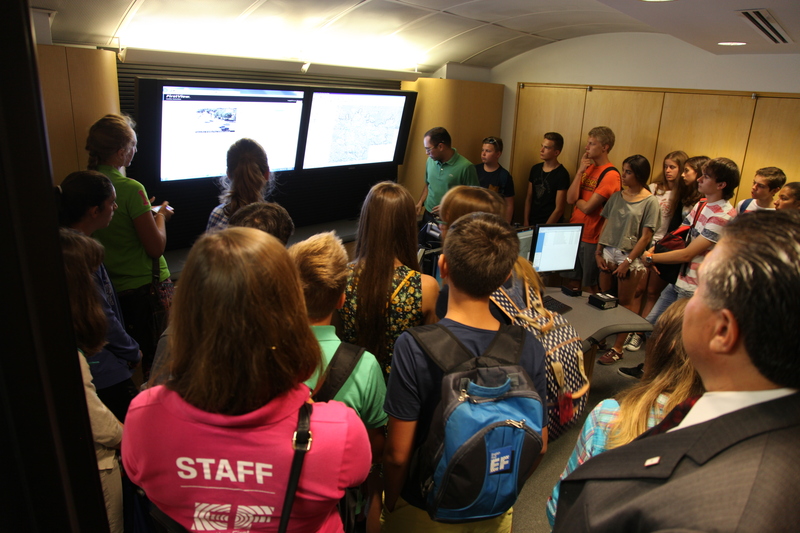 Students from Russia and Finland had a chance to take a look at the City’s traffic control room. 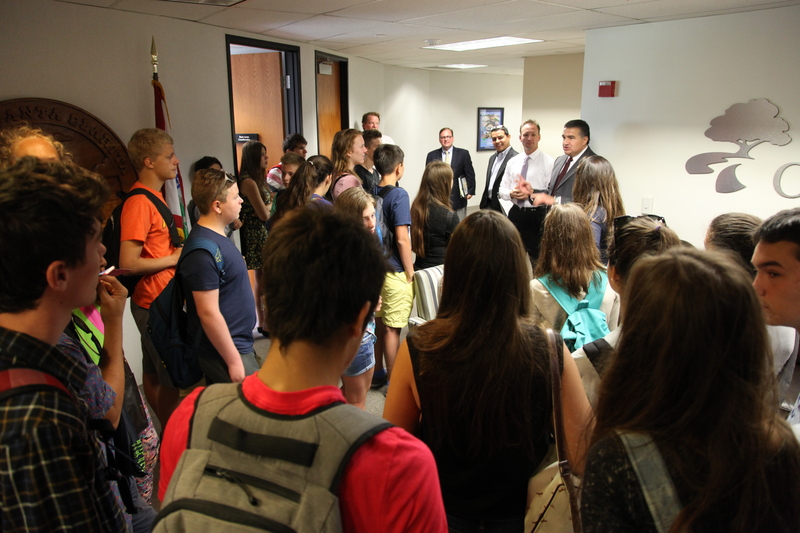 Then on Friday, July 11, City Manager Striplin and Assistant City Manager Oviedo met with students from Mexico and explained how local government works.